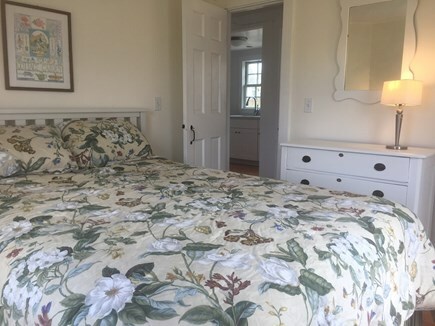 Meander down a sandy path through beach grass to the bay beach from this cozy two-bedroom cottage in iconic Pilgrim Colony, a well-maintained cottage community. 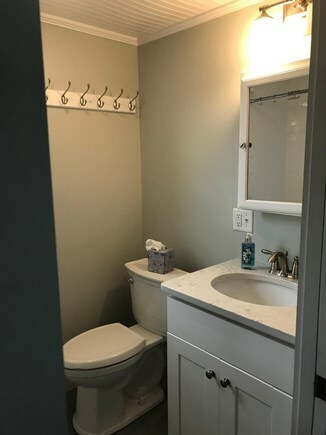 Renovations include brand new furniture, a new kitchen with stainless appliances, updates to the bathroom including a new tiled shower, and outdoor improvements. 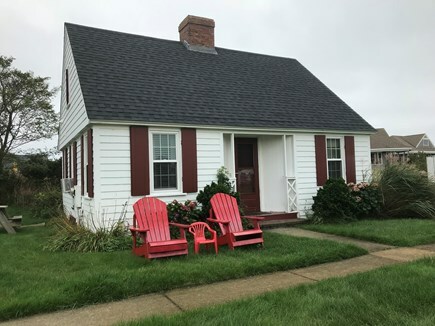 This single-story cottage has a living area with comfortable seating, flat screen TV and cable, WIFI, and an air conditioner window unit. The kitchen is open to the living room, separated by a breakfast bar with seating for four. 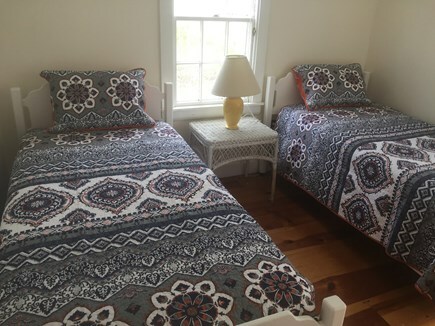 There are two bedrooms, one with a queen bed and the other with two twins. 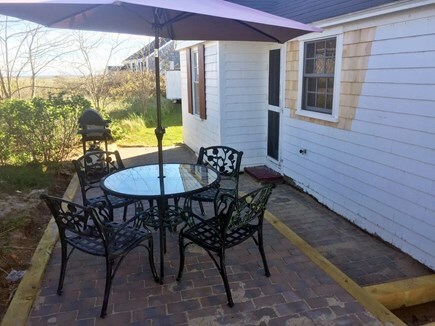 Grill out on the new brick patio with dining table and chairs and an enclosed outdoor shower. 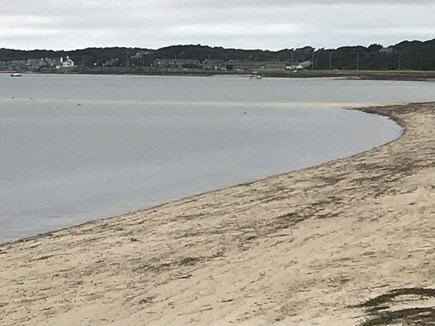 Follow the sandy path, approximately 200 yards, to the shared private beach on Cape Cod Bay with views of Provincetown. 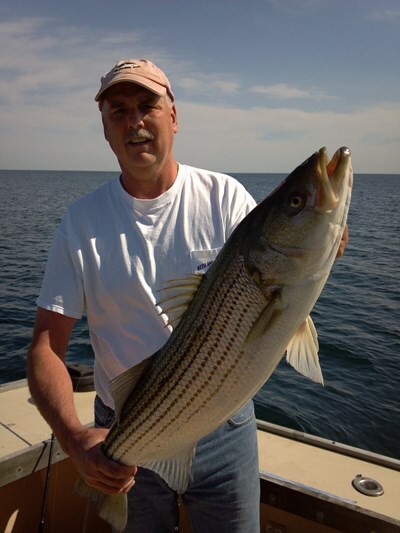 Conveniently located on the shuttle route--leave your car behind and head to Provincetown for dining, shopping, whale watching, charter fishing and other adventures! 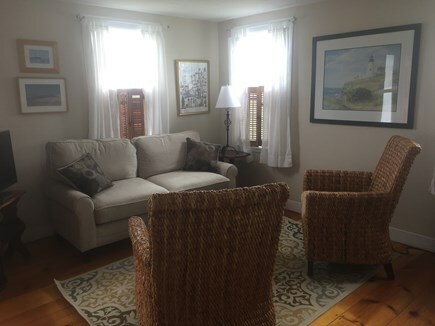 Short drive to beaches and Truro attractions including Highland Lighthouse, Highland Links Golf Course, Truro Vineyards, and Payomet Performing Arts Center. This cottage is a great alternative to condos and inns, with its very reasonable weekly (July and August) and 3 night minimum rates ( Off-Season). 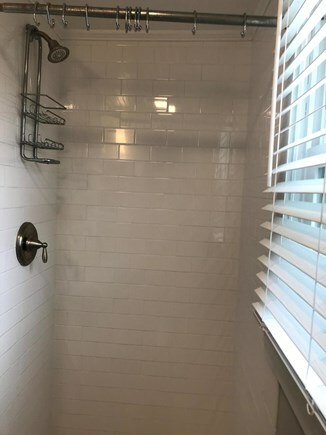 Additional pricing info: $100 cleaning fee, $350 refundable damage deposit, short term mandatory state/local 12.45% tax, State and local taxes of 12.45% will apply. 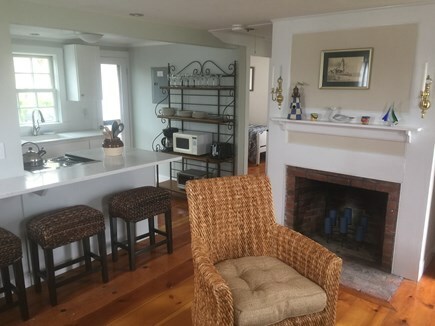 Fantastic location, one-minute walk to the beach, 5-minute bike ride into town or to jump on the bike trails to access Race Point. 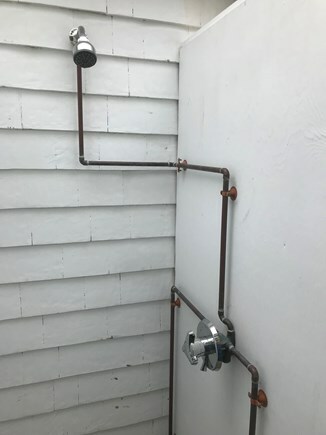 The house was adorable, had everything we needed, great shower, comfortable bed, wonderful kitchen to sit at and have coffee in the morning (we didn't even use the guest room but the two twin beds would have been perfect for our kids). Excellent value would highly recommend! Beth and I have lived in Truro for fourteen years, relocating from Chester, CT. We are semi-retired, Beth is a marriage and family therapist and I run a charter boat in Provincetown, Beth Ann Charters. 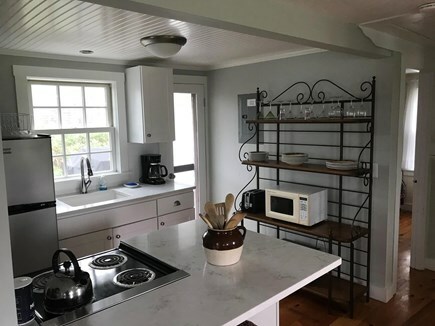 We live two miles from the property should you need anything and have been renting cottages in Truro, Cape Cod for over ten years. 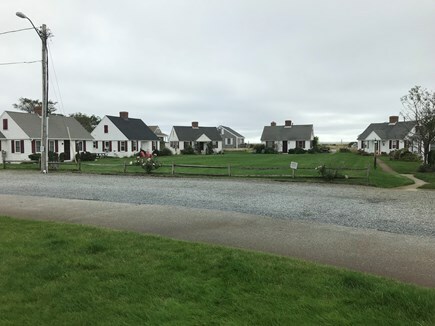 Pilgrim Colony has only seven cottages, arranged in a semi-circle around a large, spacious grass lawn. The bay beach is a short walk, around 100 yards, out the back of the complex, no crossing streets to get there! The public transportation into Provincetown or Truro runs by the cottage on Shore Rd, negating the need to pay for parking in Provincetown. 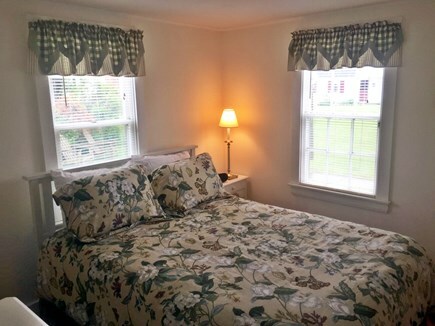 The cottage itself is more than 50myears old, but has been modernized inside, yet retains its Cape Cod feel. Truro is the classic Cape Cod town and vacation destination. Between Truro and Provincetown their are six Cape Cod Bay beaches and six ocean side beaches, giving you plenty of options. Dune tours through the Cape Cod National Seashore, whale watching or fishing on our charter boat www.bethanncharters.com, riding bicycles on the miles of paved bike trails, eating at classic fried seafood joints or fancy restaurants, attending free concerts, exploring the back streets of Provincetown, seeing the Pilgrim Mounument or visiting Truro Vineyards, their are thousands of things to do for the active family, or, you can just sit and relax and watch the world go by.